When Paul Buff came up with a Mexican-sounding instrumental entitled "Tijuana Surf" at his Pal Studios in Cucamonga, California, he asked fellow Pal musician Frank Zappa to write a B-side. 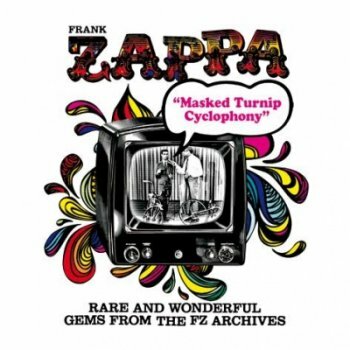 Zappa turned in the brilliant, fuzz-toned instrumental "Grunion Run," and Buff sold the recordings to Art Laboe's Original Sound label. The Hollywood Persuaders became Buff's performing name, but they were not a band! With very few exceptions, Paul Buff would play all the instruments. When Original Sound released "Tijuana" in the summer of 1963, the record became a big regional success. In fact, the record was released twice: as "Tijuana Surf" by The Persuaders, and as "Tijuana" by The Hollywood Persuaders. "Tijuana" was released in Mexico and Argentina as by Los Persuaders and went on to spend 16 weeks at #1 in Mexico - even preventing The Beatles' "I Want To Hold Your Hand" from reaching the top spot! The success of "Tijuana" enabled Buff to create more Hollywood Persuaders recordings, and back royalties from the record also helped bail Frank Zappa out of jail after he was arrested in March 1965! The following single "Persuasion"/ "Juarez" did not stir up the same kind of sales as "Tijuana", but Paul Buff was working on an idea which showcased drums in the arrangement. Buff's first attempt was entitled "Drums" and simply featured drums with his wife Allison's backing vocals. This version was released on an extremely rare promotional single with "Yes, I Want To Dance" as the B-side. Paul Buff went back and completely re-recorded the track with an extremely powerful drum presence, more instrumentation and a sax replacing Allison Buff's vocal. This version became "Drums A-Go-Go," and it was an even bigger local success. It also just missed hitting Billboard's single chart, but it generated even more attention through cover versions by the likes of Sandy Nelson and Hal Blaine. The flipside of "Drums A-Go-Go" was "Agua Caliente (Hot Water)," another Mexican-styled instrumental. 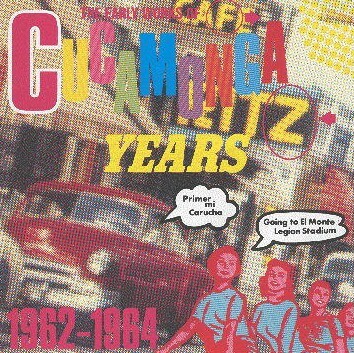 The belated Mexican success of "Tijuana" led to the release of a unique LP containing tracks from The Hollywood Persuaders, The Rotations and The Teen Beats. "Drums A-Go-Go" has become The Hollywood Persuaders' most recognizable song, and it was also included in the film "Natural Born Killers." 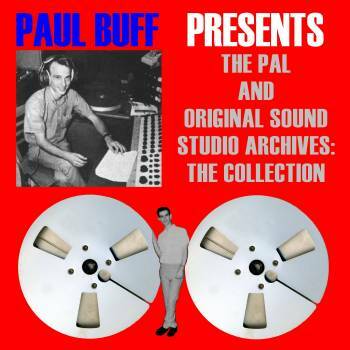 In the late spring of 1965, Art Laboe of Original Sound gave Paul Buff the go-ahead to do a "Drums A-Go-Go" album. It was released in August 1965. Aside from the title track and a new mix of "Tijuana," the album included reworkings of "Persuasion" as well as The Bongo Teens' tracks "Last Night" and "Forget It." 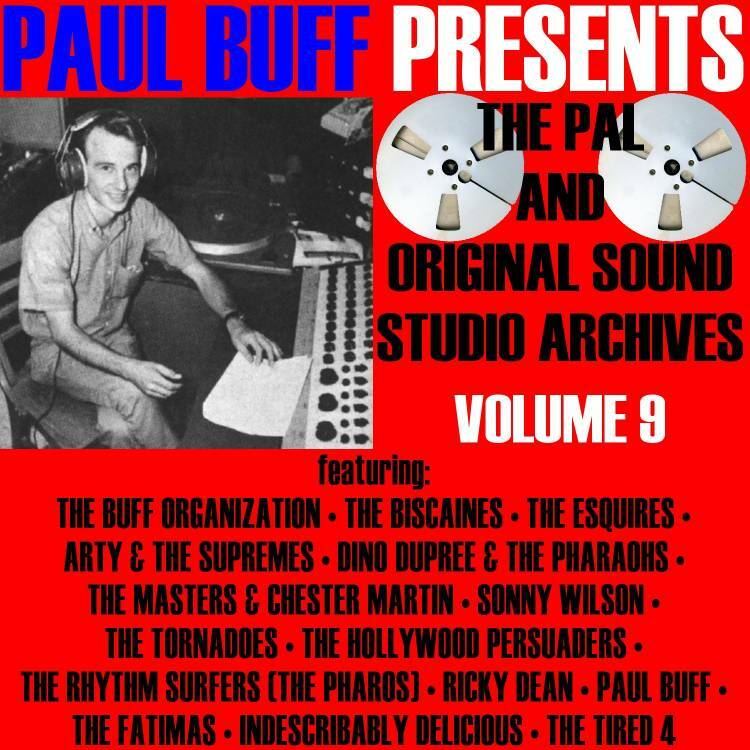 Buff did some more recordings by himself and called in fellow Original Sound artist Adam Saylor's backing band (Brian Blanchard, Bob Husband and Mike Martin) to do the tracks "Eve Of Destruction," "(I Can't Get No) Satisfaction" and "Hollywood A-Go-Go." The third song by this lineup was backed by the first song for The Hollywood Persuaders' final single. Paul Buff went on to do the Original Sound-released solo single "She's Got A 60 Cycle Brain"/ "Cause I Love You" and many tracks with Allison Buff as The Buff Organization. These tracks are available as part of Paul Buff's 20-volume Pal Studio/ Original Sound series. Buff also engineered many recordings by other artists at Original Sound Studios, including The Music Machine, The Strawberry Alarm Clock and Sugarloaf, to name just three. 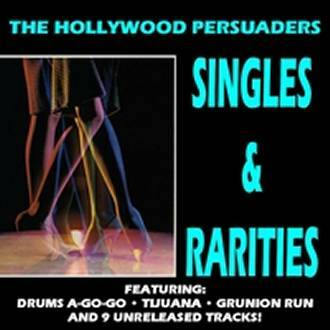 The Hollywood Persuaders released just five singles (including a promo-only release) between 1963 and 1965, but the original single mixes had never appeared in digital form (from the original master tapes) until the 2010 download release. In addition to both sides of Paul Buff’s solo single “Slow Bird”/ “Blind Man’s Buff,” there are many unreleased tracks: two versions of “Evil Underneath,” a demo version of “Drums A-Go-Go,” “Go-Go Music,” “Organ Stomp,” “Cruisin’,” a demo version of “Agua Caliente (Hot Water),” “Rollin’,” and “Something Else,” which only exists on an acetate. Another rarity is the Mexican album version of “Yes, I Want To Dance,” and you even get a countoff before Frank Zappa’s “Grunion Run”! "One of Paul Buff's recording personas was The Hollywood Persuaders, and it was his most popular venture. Nearly all the instrumental recordings made under this name featured Buff playing all the instruments. 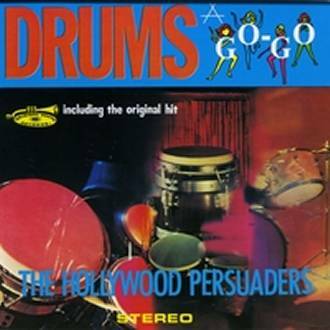 A perfect example of The Hollywood Persuaders' style is the unreleased track from 1965 - "Go-Go Music." It would have fit perfectly on any of the dance shows that appeared on television during the mid-1960s." "The Hollywood Persuaders’ “Drums A-Go-Go” was the most popular Paul Buff track, spawning many cover versions. This is the original single mix. Check out the mono and stereo versions of the “Drums A-Go-Go” album, as well as “Singles & Rarities” and “Raw Tracks” for more Hollywood Persuaders action." "Next up is the familiar single mix of The Hollywood Persuaders' "Grunion Run." 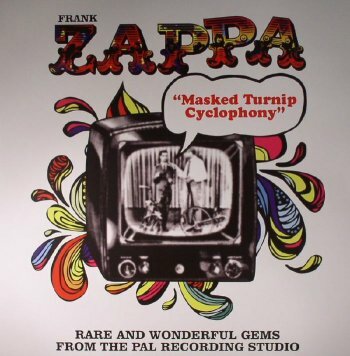 The "Drums A-Go-Go" album features alternate stereo and mono mixes of this tune with searing Zappa guitar solos. It's an early FZ triumph!" "An early Hollywood Persuaders track, "Evil Underneath," appears in the first of its two versions on this volume. Unusual for a Hollywood Persuaders recording, piano is the main instrument." " "North Beach" was one of Paul Buff's best melodic Hollywood Persuaders instrumentals. Like "Romance Theme," it's a wonder why more people did not cover it." "Finishing things up this time is "Something Else" - another track rescued from an acetate. Definitely one of the rarest Hollywood Persuaders tracks that no one has listened to, but it's one of the best!" "We're off to a strong start with The Hollywood Persuaders' version of the Stones classic "(I Can't Get No) Satisfaction." It's one of the very few tracks that Paul Buff used other musicians on." "The single version of The Hollywood Persuaders' "Persuasion" is very rare. When the "Drums A-Go-Go" album was prepared in 1965, Paul Buff recorded a more up-to-date version of the song for the LP. So, this poor orphan didn't have a home until the recent Hollywood Persuaders reissues! Here is the mono single mix. Another rare single mix, "Agua Caliente (Hot Water)," has also been included. It was originally released as the B-side of "Drums A-Go-Go" in 1965." "By now, The Hollywood Persuaders need no introduction. However, the first-time stereo mix of "Grunion Run" certainly has to be commented upon! Art Laboe of Original Sound had this tape in his archives all these years, and Paul Buff had completely forgotten that he made stereo mixes of songs that had never appeared in stereo anywhere. This is a great opportunity to start off this volume! Later on, you'll also hear the single mix of The Hollywood Persuaders' "Tijuana" and a cover of the Barry McGuire smash "Eve Of Destruction." All of them have the unmistakable and irresistible presence of Paul Buff." "Barrett Strong's "Money (That's What I Want)" was the clear inspiration for The Hollywood Persuaders' "Rush Street," but Buff made sure to take it where it never went before. You can never go wrong with those old familiar chord changes, so Paul would occasionally record those bits as things like "Piano/Bass/Drums." "
""Hollywood A-Go-Go" by The Hollywood Persuaders was clear and defined right off the bat. It was one of the best tracks on the album and it was the final A-side for this Buff venture." "Also, "Forget It" by Paul Buff and Dave Aerni was originally recorded by The Bongo Teens in 1963. The Hollywood Persuaders version is actually a different mix of the same take with some embellishments. Make your choices!" "The Hollywood Persuaders are represented by the album version of "Sunset Strip" (note the similarities to "Louie, Louie"!) and the second version of "Evil Underneath." "Sunset Strip" was another strong HP entry, and "Evil Underneath" employs a slightly different arrangement and ending." "The Hollywood Persuaders' "Thunderbird" gets us off to a flying start, with a shorter version of Paul (Conrad) Buff's demo of "Chocolate Milk" a short time later." 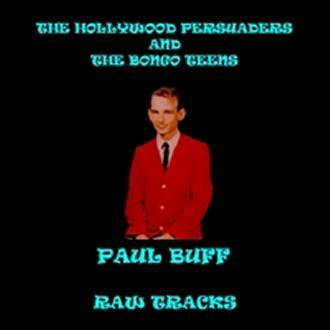 ""Last Night" was recorded by Paul Buff as The Bongo Teens and The Hollywood Persuaders, but the latter is included here. Unlike the other song that both outfits recorded ("Forget It"), the HP version of "Last Night" is a completely different take." 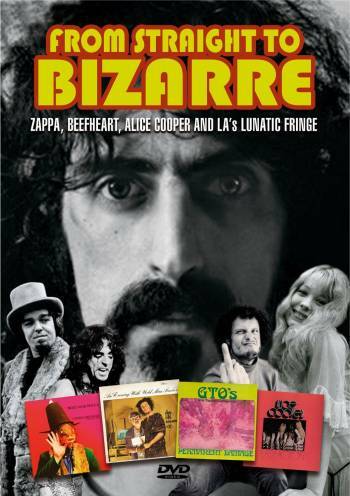 "Speaking of Zappa, an alternate mono mix of his "Grunion Run" with The Hollywood Persuaders comes next." "The Hollywood Persuaders' "Juarez" was the B-side of "Persuasion." This is the original (and only) stereo mix of the song that Paul Buff originally prepared for Original Sound. It was never used until the recent HP reissue of the stereo "Drums A-Go-Go" album. " "We're underway with Paul Buff's classic drum showcase, "Drums A-Go-Go." This Hollywood Persuaders selection now appears in its original stereo mix." "Another surf title, Johnny Barakat's "Go Surfer Mo (El Zebra)," takes us into The Hollywood Persuaders' "Organ Stomp." That HP track was not released until recently. The Frank Zappa-written B-side of the Bob Guy single, "Letter From Jeepers," is yet another piece of lunacy!" "The Bongo Teens' "Forget It" was a Buff/Aerni piece that Paul Buff got more mileage from when it was remixed for the Hollywood Persuaders album "Drums A-Go-Go." A considerably longer Bongo Teens version of "Forget It" is available on "Raw Tracks." "
"We have lots of alternate versions on this volume from The Bongo Teens (the mono LP version of "Baja Bongos"), The Hollywood Persuaders (the single version of "Yes, I Want To Dance," an alternate version of "Sunset Strip," the original stereo mix of "Tijuana," the demo and single versions of "Drums" and "Drums A-Go-Go," and the demo of "Agua Caliente"), The Buff Organization ("Windows" with Paul and Allison Buff's vocals, and the stereo mixes of "Studio 'A'" and "Upside Down World"), and Sonny Wilson (an unreleased demo version of "My Proudest Possession")."